There is Taco Tuesday, which is about washing down "tacos" with drink specials alongside your best friends and then there is Taco Tuesday, which about celebrating the art of the taco with your best friends. Sometimes the two collide, but when they don't, you have a choice to make: great food or a gnarly (but inexpensive) Wednesday hangover? 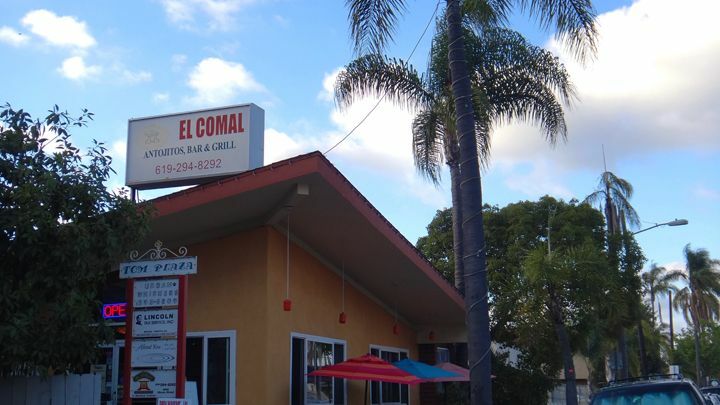 Recently, we chose great food and headed to El Comal, an inconspicuous authentic Mexican restaurant in North Park. When we arrived there were only one or two other tables that were occupied and a few people at the bar. It was quiet, but bright and cozy inside. In fact, over the course of the evening, I would say that it never got more than 60% full, but everyone there was having a good time. There was also a nice shaded patio that would have been perfect if it wasn't a little chilly out. 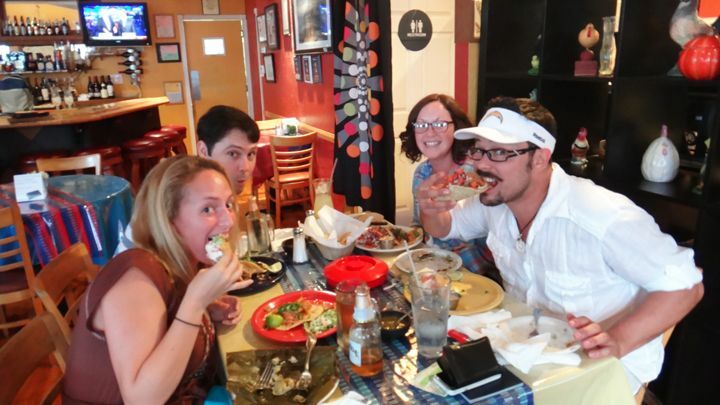 The Groupon included four house margaritas, eight tacos and two appetizers for $40, so we got to work immediately. Our round of house margaritas came out and truly, it was the best, freshest margarita I've had in a loooong time. We ordered the Queso Fundido, a cheese dip that I recommend highly, a Chicken Tamale and a Gordita Exotica, which included cactus. It was my first time trying cactus and it was interesting. It tasted a bit like a green bean with the consistency of a green bell pepper. Then came our tacos. We all tried something different and everyone loved their food. I had a chicken soft taco and a potato taco in a crispy shell and completely cleaned my plate. 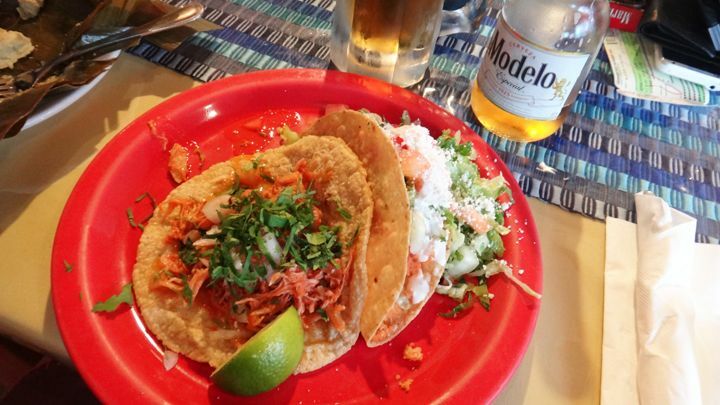 And the tacos ARE reasonably priced without any specials: most of them are $2.50 a la carte! Ryan, me, Bonnie and Jason! Everything about El Comal makes me want to have this be our default for Taco Tuesday. 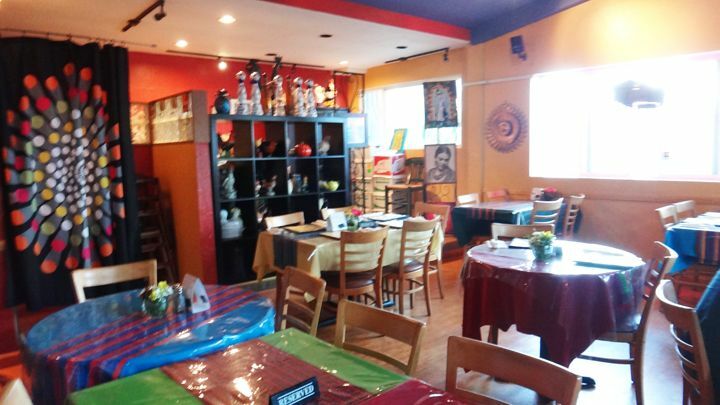 No waiting or fighting for tables, inexpensive but delicious and authentic Mexican food, beers for $3 and great house margaritas that are only $4 during Happy Hour (Mon-Wed 5-7pm, Thurs & Fri, 3-6pm), and really fantastic service (our server was so attentive and fun!). You can view the menu for yourself here, but you really have to try the food to understand why I'm such a fan. 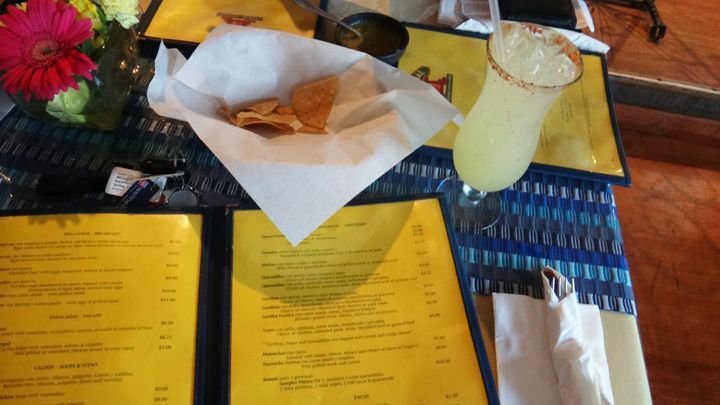 Next time you want Taco Tuesday without the stress, hit up El Comal and don't forget two magical words: Queso Fundido.